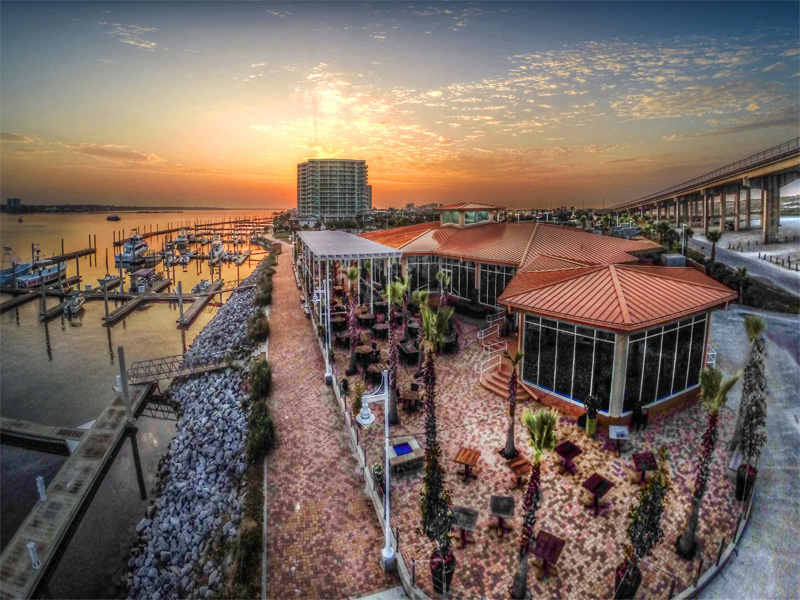 GTs On The Bay sits overlooking Wolf Bay on Canal Road in the heart of Orange Beach. With stunning views and bay front dining, GTs features a diverse and one-of-kind menu. Guests can savor unique culinary choices and a blend of local favorites, in addition to special creations with a family friendly atmosphere. Enjoy a stone hearth pizza oven and fresh made salad bar as well as craft beers and daily happy hour. Soon to be favorites such as our Cajun empanadas, chicken carbonara and fish tacos will delight locals and visitors alike. Cactus Cantina is a local favorite mexican restaurant with an impressive reputation. 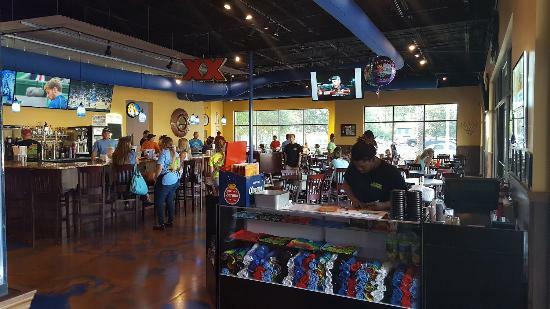 They serve Mexican fresh cuisine with an American twist. 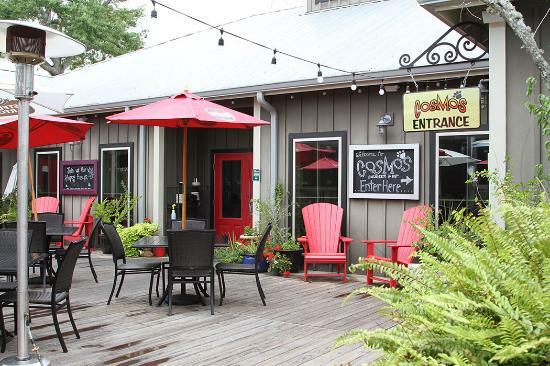 Their laid back family atmosphere with an outdoor patio and full service bar is perfect for the whole family. With locations in Orange Beach, Gulf Shores, Fairhope, and Pensacola, they make sure to satisfy the needs of everyone in your party. Come experience contemporary coastal cuisine at its best. 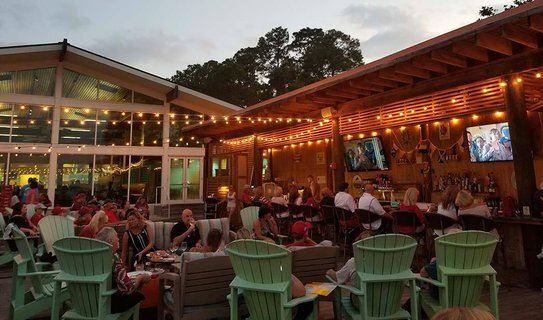 Cobalt, the Restaurant, located in Orange Beach, features authentic dishes crafted by renowned chefs in three distinct kitchens. Nestled under the Perdido Bay Bridge, next to Caribe Resort, patrons can enjoy a spectacular view of the bay from every table. For those who wish to approach by water, there are numerous boat slips available for small boats as well as medium-sized yachts. However you choose to arrive, Cobalt offers a casual and relaxing atmosphere with waterfront dining, live music and superior service. We are passionately committed to offering the freshest, seasonal menus of locally focused ingredients, with a concentration on Gulf seafood and sourcing from our neighboring regional farmers. Our menu changes daily. The Gulf is a casual yet chic seaside hideaway. Where the sun, sand and lush beachside setting complement the tasty food, beverages and friendly casual service. Recline with your toes in the sand, have a seat at the bar or at a communal table, or meander about, and enjoy the magical vibes, views and tunes. Our design is centered around shipping containers and includes recycled, reclaimed and salvaged building materials. At The Gulf, we make a concerted effort to practice sustainability and to reduce our carbon footprint. 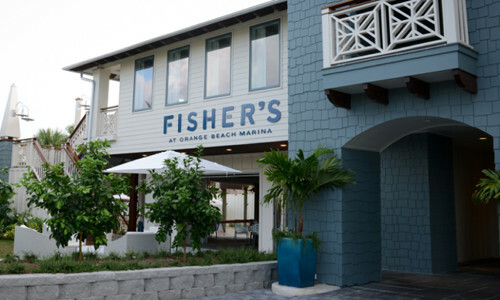 While Executive Chef Bill Briand’s creative riffs on Southern coastal cuisine consistently rake in praise from national media and earn prestigious award nods (he’s been a James Beard Award semi-finalist for three years running), you’ll find so much more than great food at Fisher’s. It starts with two distinct dining experiences in one spot: the backwater breezes and relaxed vibe in the open-air Dockside and the sophisticated décor washed in soothing sea colors of the fine-dining space, Upstairs. Each has its own menu and personality, but they share a common thread: the “y’all come” warmth that Johnny describes and that permeates every inch of space (indoors and out) at Fisher’s. It continues with Chef Bill’s commitment to fresh ingredients, his cooking skills (honed in some of New Orleans’ hottest kitchens) and his attention to detail that go into every dish on every plate. His thoughtful yet innovative approach to classic flavors and an emphasis on local produce, locally made products and just-caught Alabama Gulf seafood shine in every bite. 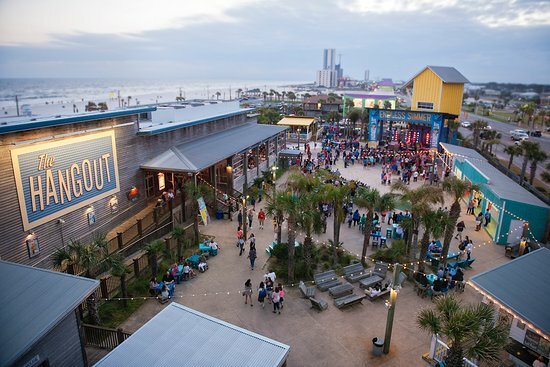 Celebrate each day at The Hangout. From high-profile events to daily family games, our staff serves up a dose of fun with every meal. The exciting, lively atmosphere certainly fits the scene. Located at 101 E. Beach Blvd in Gulf Shores, AL, The Hangout always feels like a beach party. 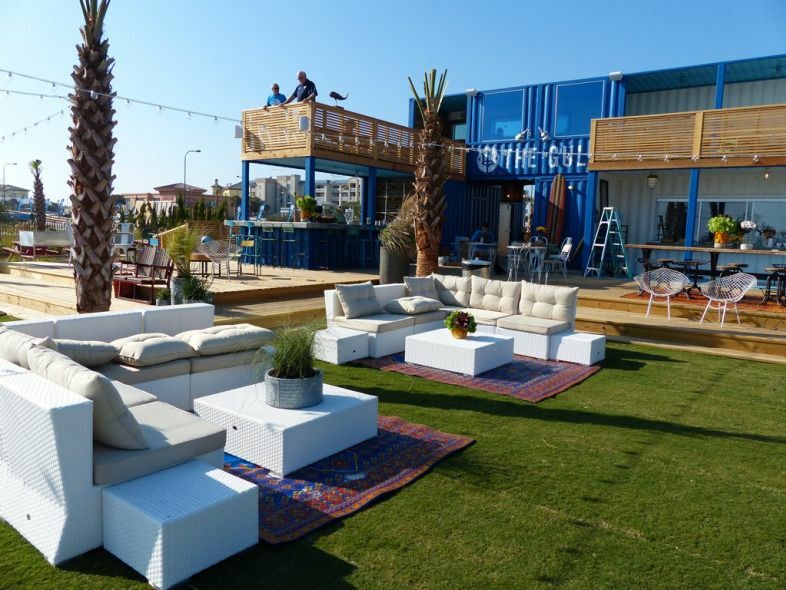 With award-winning events, The Hangout continuously strives to live up to its name. We love hosting tailgating and after parties for Bama games and other local events, as well as putting on our own. These include holiday parties, cook-offs, game nights, pop-up workouts and fun runs. While guests can always look forward to our exciting upcoming events, there are plenty of everyday activities to do in the meantime. As we like to say, come for the food and stay for the fun! Every day, we host games and contests for the whole family to enjoy, from playing in the sand pit to joining in on free pick-up games of ping-pong, foosball, four square and other activities outside in the courtyard. Plus, there’s always live music and shows taking place up on the main stage. In addition, we love having family foam parties where kids can run around and play in the bubbles, and a fire pit, outdoor T-shirt shop and giant beach chairs add to the fun. Plus, we have direct access to the beach right from the restaurant, so guests can dip their toes into the sugar-white sand and watch the waves come crashing in. Lucy Buffett’s LuLu’s is all about celebrating, food, family, and FUN! Take a break from life for a little while and soak up all the good vibes of our delicious food, live music, and stunning waterfront views. Everything is better with sand between your toes and a cold drink in your hand while the kids play in the sun. Eat, play, shop—we’ve got something for everyone. A visit to LuLu’s is a vacation in itself, so treat yourself and your family. The real world can wait. Breakfast Lunch and Dinner are available everyday at Tacky Jacks along a view to make each visit a great experience. We offer wonderful, casual dining for the whole family with the emphasis on FUN. 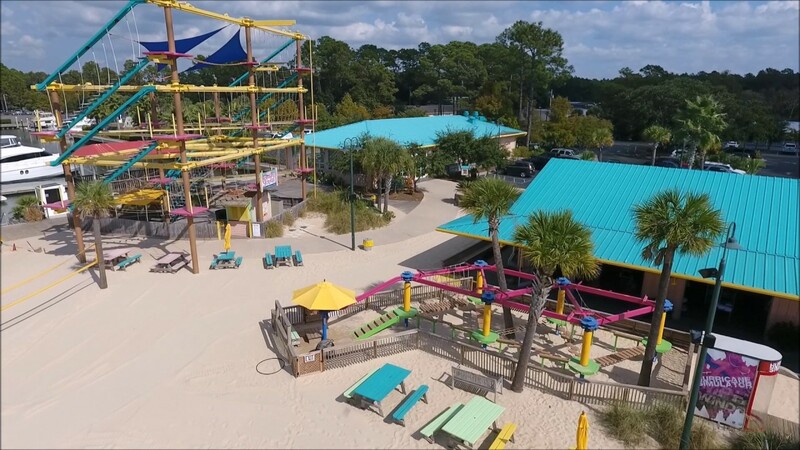 The Tacky Jacks Brand stands for quality, value, family and community. 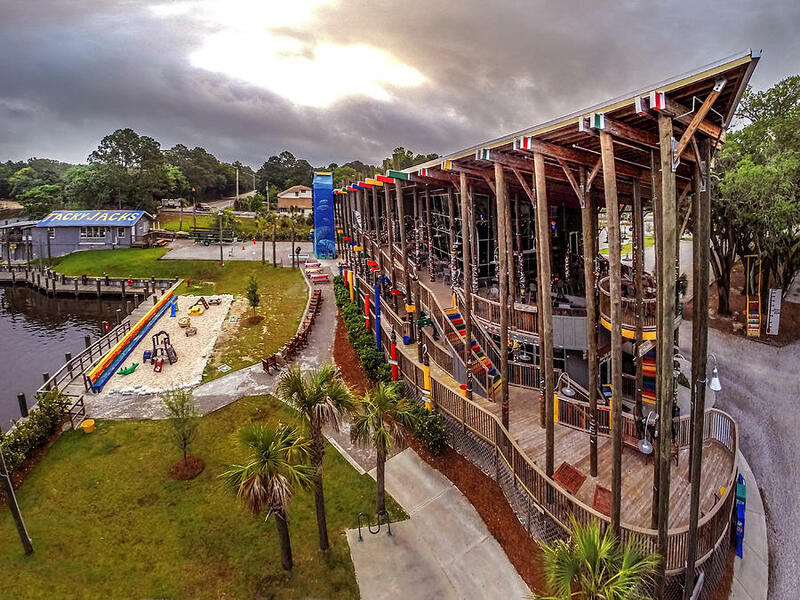 Come join us and experience Tacky Jacks. The Original Oyster House Restaurant is the dream of enthusiastic entrepreneurs, Joe and Mary Lou Roszkowski and David and Jane Dekle. Their successful seafood restaurant partnership began in 1982 when Joe was executive chef at the Gulf State Park in Gulf Shores and David worked for Fruit Distributing. Their business relationship culminated into one of the most successful and longest-running seafood restaurants in South Alabama. 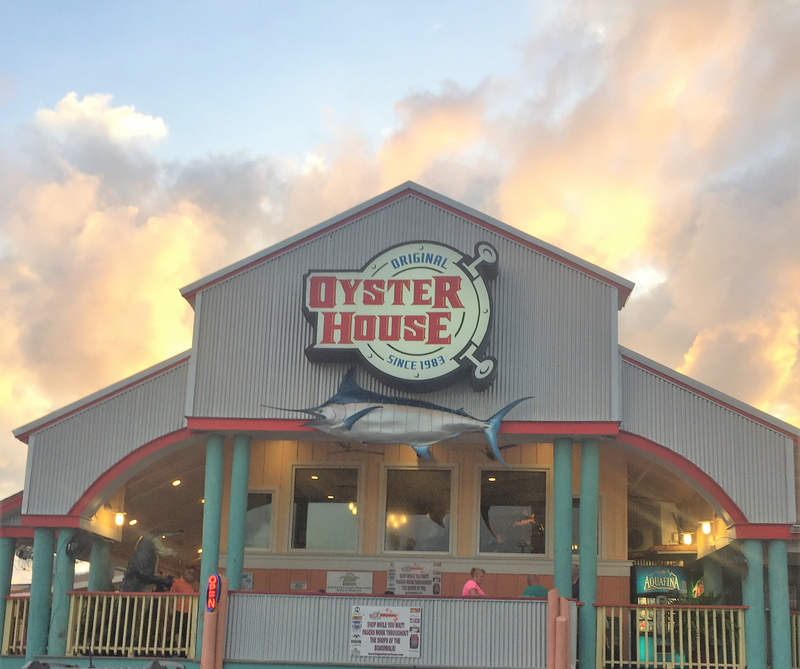 In May of 1983, the Original Oyster House opened its doors in the Bayou Village Shopping Center in Gulf Shores with sixty seats and ten employees. After expansions in 1986, 1996 and 2012 it now seats 300 and employs 130 people. Not only is it the oldest seafood restaurant on Pleasure Island, it is nestled in the Original Oyster House Boardwalk the area's oldest specialty shopping center which they purchased in 1996. They also purchased an additional lot in 2004 for much needed parking.